Iran or Persia (as it was known in its ancient days) was one of the greatest Empires of time. The Greeks acknowledged it, The ancient Indians traded with it and The ancient Chinese considered it an equal. The land has had many innovations and inspirations. Their cuisine is one such thing. Persian or Iranian food is among the world's tastiest foods especially for a food lover like myself. A lot of Indian food itself has been derived from Iranian food. Persian food like Indian food is full of flavors, uses similar methods of cooking and, has a rich and timeless history. So when the folks at The Sahara Star Hotel sent me an invitation to sample the grub from their Persian food festival, I just had to say yes. It was a long trip but completely worth the effort. Namak meaning salt is an Indian restaurant inside the domed palace that is The Sahara star. Considered to be one of the most luxurious hotels in India, its unique domed structure has fascinated me for many years. This was my first time inside the place. Though I only briefly got to see the Hotel, it indeed was a fascinating experience. The guests must be completely enamoured with such a beautiful Hotel. I quickly made my way to Namak where I was met by my hosts, Chef Rehman - An Awadhi cuisine master who organizes food festivals across five star properties in India, Chef Mona - A passionate Iranian chef whom I had met earlier at The Renaissance and Mr. Rostan - A well spoken member of Team Sahara Star. 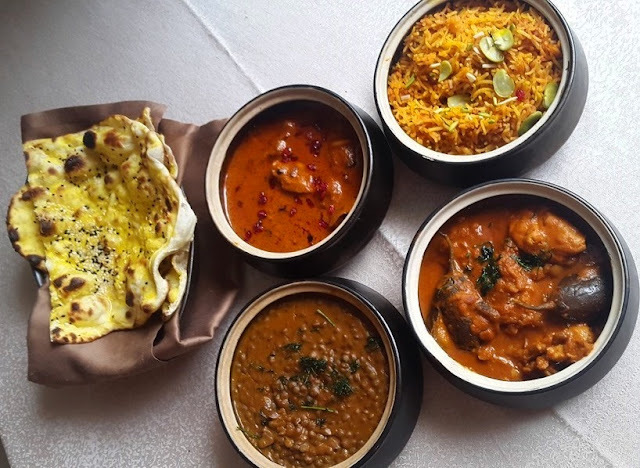 Namak is a classy Indian themed fine dine. Some festival based Persian elements had made it into the ambiance though. The servers were dressed in Persian inspired costumes and there were many objects that served as motifs of the Persian culture. 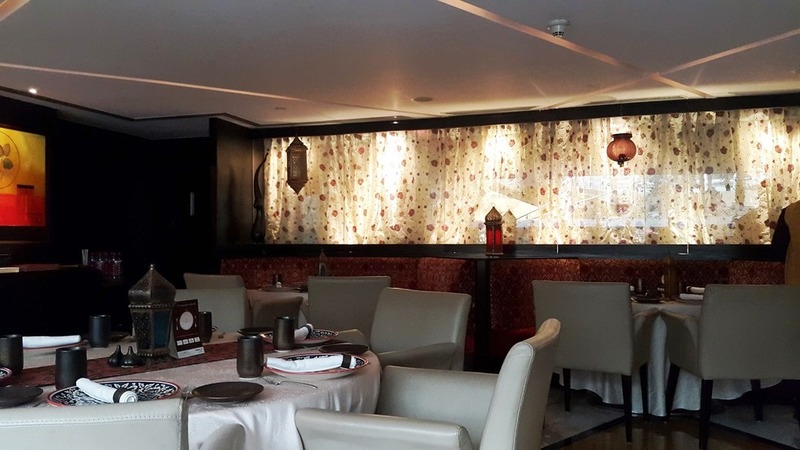 However, the restaurant mostly resembled other restaurants inside Five star properties. Calm, cozy and classy would be the best words to describe the place. Ahem, on to the delicacies that I sampled. This Zaffrani Sherbet tasted like a mix of saffron and sweet herbs. Very refreshing and naturally sweet. It was an ideal start to the late lunch ahead. The Soup E Jao is probably derived from the Iranian staple Ash e Jo. 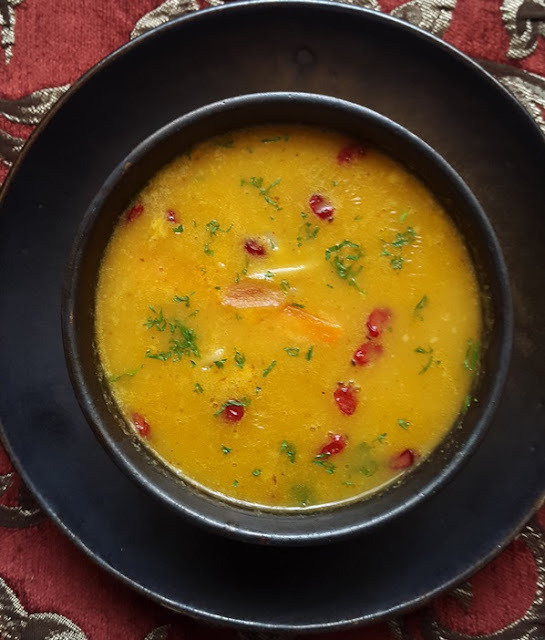 This Persian Barley soup is common in Iranian households though Chef Mona made it special by adding parsley and carrots too. The colour also was stronger and more yellow than the common traditional version. The soup had a strong flavor with a savory and pungent undertone. It was addicting in flavor and was unlike anything that I have ever had before. I sampled Namak's vegetarian Kebab platter as my first course. 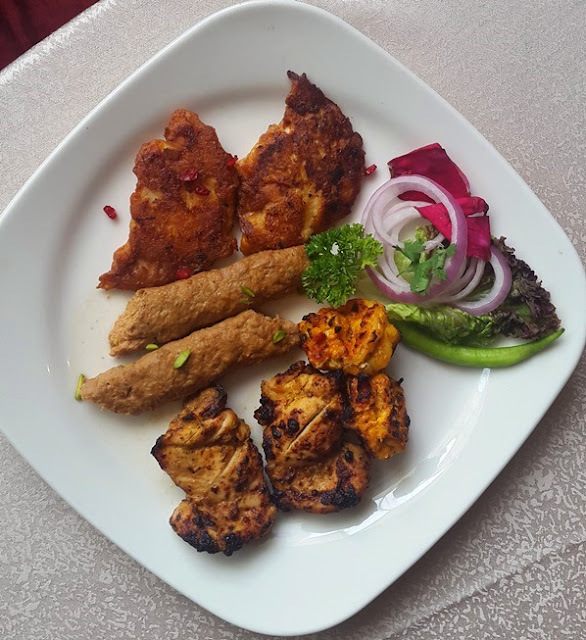 Vegetarian Kebabs are an interesting premise and every restaurant tends to put their own touch to it. Its also a given that vegetarian Kebabs will mostly be something around paneer and mushroom but its still a field wide open for creative folks. 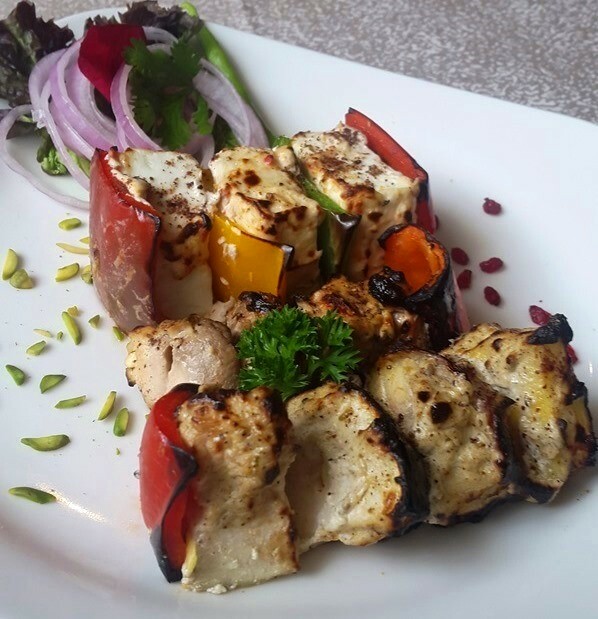 The Zaffrani Paneer Kebab did not taste much different from paneer or velvet kebabs at other restaurants. The Gharth Tanuri was a Mushroom kebab that too tasted similar to the mushroom kebabs that I have had in other places . What stole the show was the Mavoha Tanur Kebab. These were grilled fruit kebabs with sumac rubbed on to them. I have always love grilled pineapple and the Chef's creativity was reflected well on this. Namak's meaty kebab platter had a mix of both Iranian and Indian flavors. Chef Rehman told me that the flavors were adjusted a bit to suit Indian palates. The end result was a platter of Iranian Kebabs with a bit of an Indian touch. Joojeh Kebab(Bottom) is an old favorite of mine. This was a simple kebab made of meat chunks grilled to perfection and marinated with spices, vinegar and curd. It was juicy with flavor oozing out of every bite - a real treat for the tongue. Mahi Ye Aflatuni was a flat fish kebab. It was sweet and sour due to its preparation. Marination with Orange juice added a subtle sourness while pomegranate added a tangy sweetness. Yet another Kebab with flavors packed to the core. Koobedah Skewers(middle) was a skewer kebab made of minced lamb meat and marinated with pepper, garlic, saffron, onion and parsley. 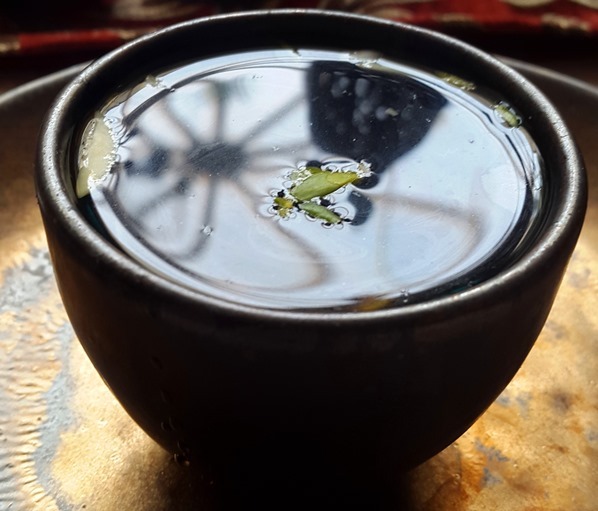 Its dry and spicy texture had the feel of a hot desert like the Dasht-e-Kavir in it. While the earlier two were comfort food, this one was a rugged adventure food. And the mains were equally impressive. Dal Adasi(Bottom) is usually a red lentil dish eaten in Iran. Its flavor and texture are very similar to the Indian Dal Makhani. Namak's version was a rich satisfying experience with a buttery savory flavor. It is usually served cold with lesser salt than its Indian counter parts although the salt here was adjusted for the Indian palates. Khoresh Bademjan(The one with Eggplant) was a delectable Persian stew with fried eggplants, tomato and split chick pea. It had a subtly sour and savory taste. The aromatic spices gave it a wonderful earthy aroma. The chicken had completely soaked in the flavor and was well married to the gravy. Chef Mona's expertise was clearly felt in her food. Khoresh Zereshk Morgh was the best among the mains. This was a simple Chicken stew with Barberry, tomato, onion, saffron and turmeric. The meat was succulent and juicy, and the gravy was very rich. This was comparable to the Indian favorite Butter chicken. Its heavenly aroma with a lip smacking flavor made it THE perfect dish. A dish that could be served to the Royals and the Heads of the state. All the mains went well with the Persian flat bread Naan E Kirmani. This was mostly different from the mainstream Indian Naans but mild Indian touches could be felt on it. Baghali Polo ba Morgh was a rice dish with broad beans and Tender boneless chicken. Indian Basmati rice was used in the preparation so it did feel a bit Indian but it was unlike any Pulao that I have had in India. It was mildly savory, very earthy in flavor and quite satisfying. Pulao is an old world dish found in Central Asia, Middle East and even Eastern Europe. Its known by different names and is called Polo in Iran. It was a fascinating experience to have Pulao from a country other than India. Ghotab on the Right resembles and tastes very much like the North Indian Ghujiya. 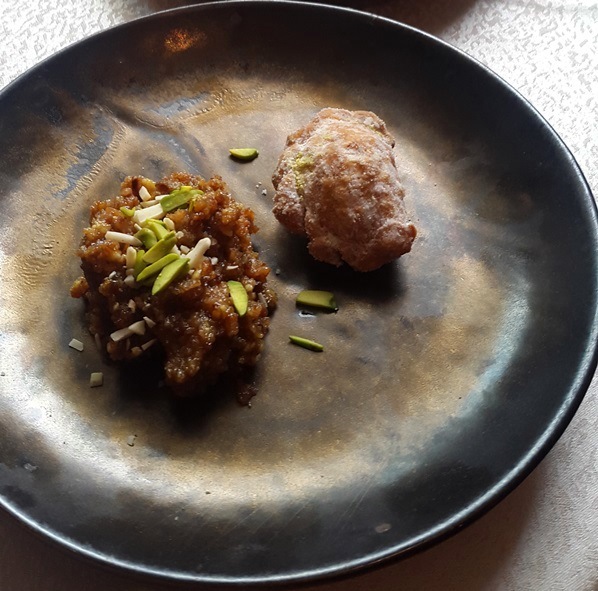 This deep fried pastry was stuffed with white flour halva(dense confection), almonds, rose water and pistachio. It was very Persian in construction and flavor but it kept reminding me of the Ghujiya which probably itself has been inspired from Ghotab. The Halva E sheer was a pudding made out of finely ground nuts. It was slightly disappointing as compared to the rest of the fare. I definitely enjoyed the Ghotab more. The service at Namak was classy and professional. It was a fun experience being served by staff in Persian costumes. The pricing is quite high though the meal feels greatly satisfying. Given the limited time experience with an Iranian Master chef, imported Persian ingredients and the fine ambiance of Namak - I do feel the prices were justified. Its not every day that one could have near authentic Persian food within Mumbai. In completeness, it was a fun Food Experience curated by Chef Rehman with the assistance of Chef Mona. The event would last till the 12th of March, 2017 at Namak inside The Sahara Star Hotel. Truly one of the highlights of the contemporary Mumbai food scene.